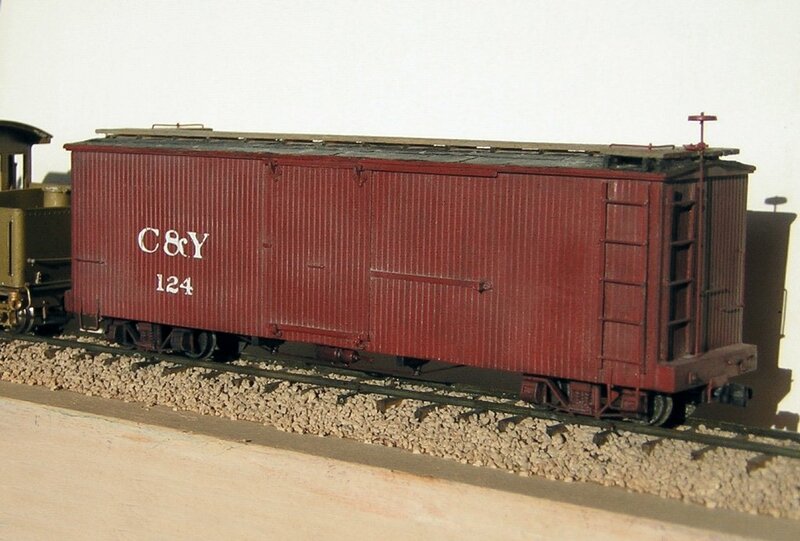 The Modelers Guild e-magazine has an article about scratch building a SR&RL inspired Sn2 Boxcar. The image above was taken from that article. Checkout the article by following the link. Overall, this is an nice article, it only lacks drawings. It has wonderfull informaiton on construction techniques, truck construction and overcoming challenges. Chris has a techique for modeling the Tin roof’s of SR&RL boxcars. MDC wheelsets are often out of gauge (usually too wide). Check before creating trucks, as their is no way to disassemble the Tichy trucks after assembly. If you use other wheelsets, such as PSC or KD, the bolster dimension for the Tichy Archbar truck conversion must be adjusted from the recomendations made by Chris. In the article, Chris calculates the bolster length from the MDC axle length. Using the same calculation method should work for other bolster length too. Caution: If bolster is cut too short, the wheels will not spin free, if cut to long, the wheelsets may come out. Some practice is required. Chris raised concern about durability of Tichy Tuck conversions. He used CA to glue Tichy trucks together. The Tichy trucks are styrene, so I’d think styrene cement would result in a more durable bond, as the styrene would be “welded” not glued. This entry was posted in Freight Car, Modeling, SR&RL. Bookmark the permalink.